Octagonal Blenders, due to its octagonal shape is designed to process to larger volume of material. 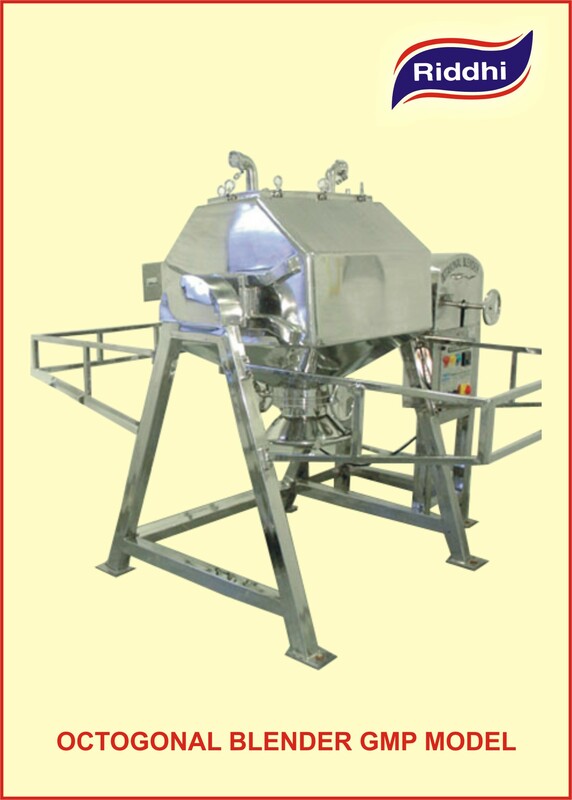 it occupies less space compared to other similar blenders like ‘V’ and Double Cone. 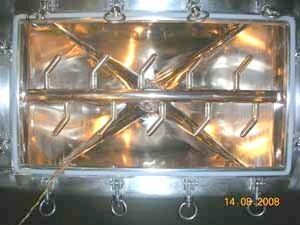 Power consumption is also less, The blending takes place at low speed during operation. It is well balanced even in higher capacities. 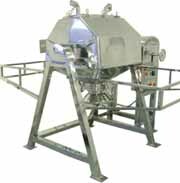 Dry powder mixing for tablets and capsules formulations. RDOB 5 12 10 0.5 12 4"
RDOB 10 25 20 0.5 12 4"
RDOB 25 50 40 0.5 12 4"
RDOB 100 250 200 1 8 6"
RDOB 150 375 300 1 5/10 6"
RDOB 200 500 400 1.5 5/10 6"
RDOB 250 625 500 2 5/10 8"
RDOB 500 1250 1000 3 5/10 10"
RDOB 1000 2500 2000 5 5/10 12"